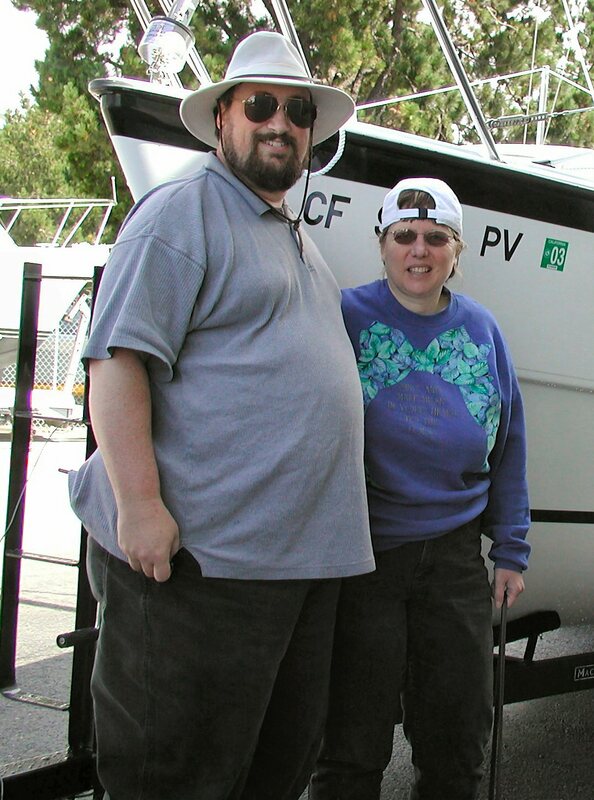 Offline was built at the MacGregor boat works in Costa Mesa, California. Although MacGregor has moved on to produce the next generation of boats, the 26M, the 26X remains one of the most popular trailerable sailboats in the world. Fit out was performed by Arena Yacht Sales, San Rafael, California. Dan Arena has been a MacGregor dealer since the 1960's. I wish I could provide a link to Dan's homepage, but he is more interested in boats than in computers. The best way to reach Dan is by telephone, 415-456-2644. 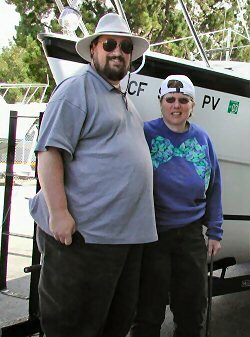 My wife, Brenda, and I took delivery of offline on June 28, 2002, After the shakedown cruise (something that Dan does as part of his service), we officially accepted the boat, and she was ours. The photo at left was taken just after we signed the papers. A part of the history of any boat is the list of modifications made since it was built. As this list is expected to grow over the years, I've decided put the list on the modification page.